LUXURY! Award-winning Captiva floor plan is perfect for entertaining & living the Brunswick Forest lifestyle! It has an open plan & is located on a very private corner in popular Villamar at Brunswick Forest. 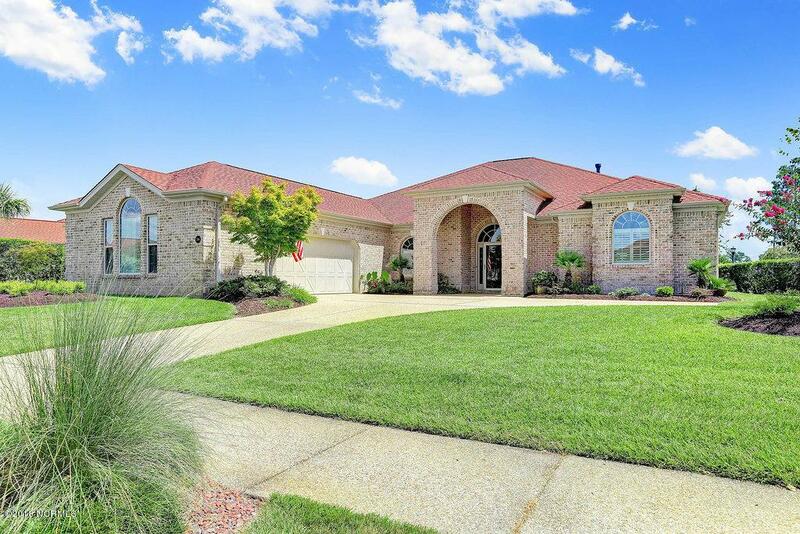 This Floridian style, all brick home has exceptional details built by high end TRUSST Builder Group. The great room has built-ins, a 2 sided natural gas fireplace & telescopic doors opening into the expansive tiled heated & cooled sunroom bringing the outdoors in. The sunroom is designed for optimal lighting and has skylights, a summer kitchen with electric grill, wet bar & refrigerator. Outside is a nice size stamped concrete patio. Gourmet kitchen features granite counters, under cabinet lighting, roomy pantry, tile backsplash, raised bar, stainless steel appliances with gascooktop & a separate breakfast room. 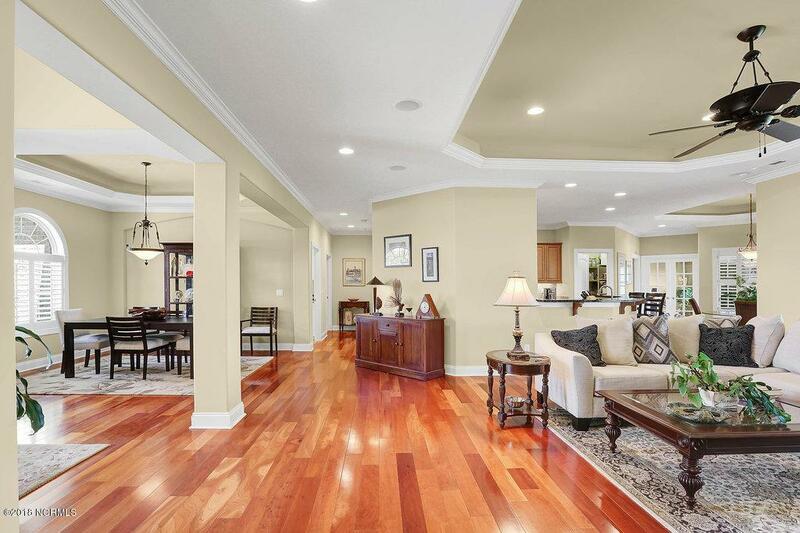 Sizable master suite has a 2 sided fireplace, French door to sunroom & luxurious bath with a walk-in tiled shower, garden tub, his/her vanities plus 2 huge walk-in closets. There is a formal dining room, study, powder room, laundry room & 2 additional bedrooms each including their own upscale baths. 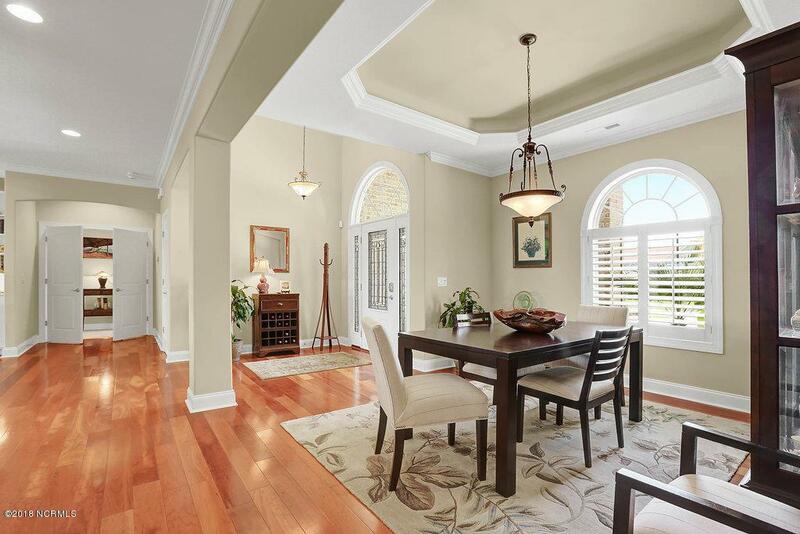 Also: plantation shutters, hardwood floors in main all main living areas, climate controlled storage, keyless entry, illuminated trey/coffered ceilings & more! This move-in ready home also features a Radiant barrier in attic, whole house surge protection, home audio equipment & sound system, alarm system and many upgrades. 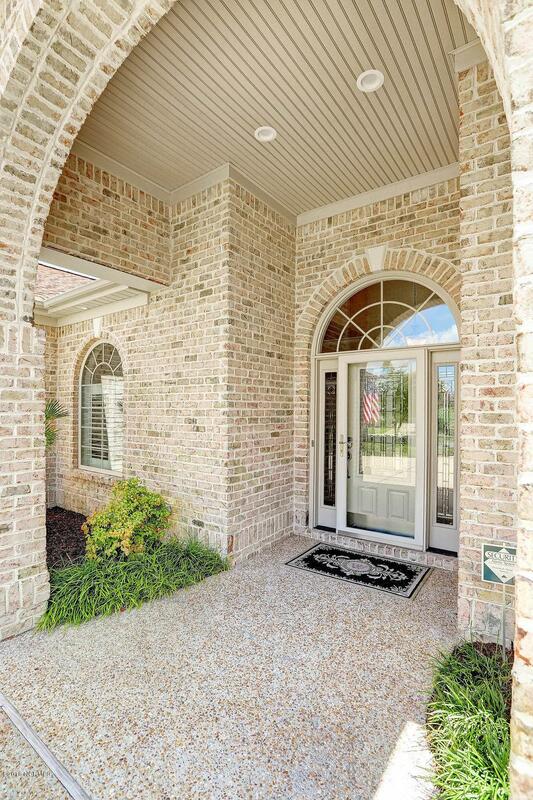 HOA dues include full lawn maintenance, & water for irrigation! Amenities: Wellness Center, pools, tennis, pickleball, parks, trails, kayak/boat launch, 18-hole golf course & social activities. The Villages offers shopping, dining, entertainment & medical facilities. Minutes to Wilmington & beaches!! Listing provided courtesy of Domin & Schwartz Real Estate Group of Coldwell Banker Sea Coast Advantage-Midtown.